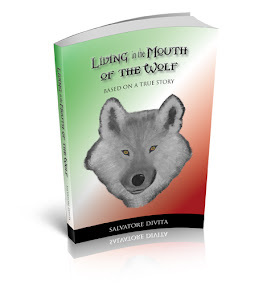 Living in the Mouth of the Wolf: The Beginning of "Living in the Mouth of the Wolf"
The Beginning of "Living in the Mouth of the Wolf"
It is difficult to say exactly when the idea of writing this book came about. As far as can be determined, on a day in July of 2004, Antonio Ghezzo and I had been complete strangers. However, it was on that day, at Dino’s Restaurant in Pasadena, that a luncheon was held by the Italian genealogy club known as POINTers. A common practice during these luncheons is to pass the microphone around from one person to the next and, in turn, each person tells of their latest discoveries regarding their lineage or perhaps some Italian historical anecdote they had recently learned. As it happened, the subject under discussion at that time was L’Italo-Americano newspaper. When the microphone was passed to me, I could not help but speak about an article I had recently enjoyed reading about Italy during the Second World War. After passing the microphone to the next person, my observant wife Marie leaned over and whispered, “The author of that article you liked so much is sitting at that table at the far end of the room.” The person she was referring to was Antonio Ghezzo, who was sitting with his wife, Giovanna. The Italian genealogy club continued to meet periodically for lunch. Antonio and I, as well as Marie and Giovanna, became better acquainted and eventually, a strong bond developed. With the friendship, came revelations from Antonio of his early years. He spoke of his teenage years as an Italian underground resistance fighter, relating anecdotes of the many battle skirmishes, in which he narrowly escaped death. He spoke of his determination to rid Italy of Nazis and Fascists, referring to them as a plague upon his land. Antonio had authored two pamphlet-like booklets describing his experiences. Upon reading them, I suggested to Antonio that his story would make an interesting book. We kicked the idea around for a while, discussing it whenever we got together at a dinner or picnic or other celebration. The very thought of putting it all in a book seemed a monumental undertaking, but I could not let it rest. I would not think of intruding on Antonio’s private life, but at the same time, I was unable to put aside the idea of writing his story. Antonio had heard this before. “Do you realize how much work is involved?” he asked. That’s all I needed. Upon getting the “Okay,” from Antonio, I began an immediate research project on the political history paralleling the years of Antonio’s childhood and how it all impacted his life. During the ensuing years, the four of us met often. Besides the periodic genealogy club luncheons, we attended a number of other Italian functions such as the Trentino Club Sunday brunches, Fameja Veneta luncheons, and various Italian picnics at Phelan and Villa Scalabrini and concerts of classical music and various dinners. At last, came the day when I had a completed manuscript ... but no publisher, so I was badly in need of a miracle. What I didn’t know is that I had been sitting next to the miracle for the longest time. During the years attending the genealogy club luncheons, we had befriended a lady named Jean Giunta-Denning and her husband, Vaughn Denning. And what I did not know was that Jean Giunta-Denning was the publisher of Thunderbird Press of Rancho Mirage. The rest, as they say, is history. Living in the Mouth of the Wolf is the story of Antonio Ghezzo which began many years before his birth at a time when political turmoil brewed over much of the world. It was a time when much of the world was still licking the wounds they had encountered during the First World War, a war which many believed would end all wars. But while some sought the everlasting peace they had hoped for, others were occupied developing a personal agenda of power and conquest, creating an atmosphere of political chaos by which Antonio and many youngsters like him would be cheated out of their childhood and adolescence. Salvatore DiVita studied at California State University, Los Angeles. He holds Bachelor of Science and Master of Arts degrees. 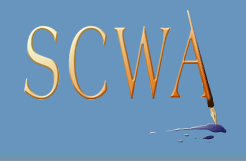 He has taught literature and writing and has authored numerous newspaper articles.